A passenger arrived in the early morning to a nearly empty train stop on the Fairmount Line in 2016. 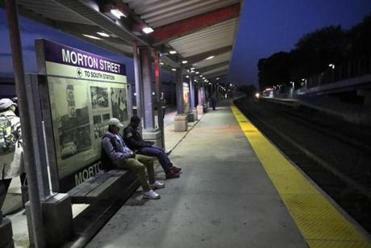 A plan to extend the MBTA’s Fairmount commuter rail line to Foxborough might at first seem to pit minority city residents against suburbanites. But the proposed one-year experiment could be a victory for both communities, and, with careful planning, deserves a fair trial. The only commuter rail route wholly within Boston, the Fairmount Line reaches some of the city’s most transit-dependent neighborhoods in Dorchester, Mattapan, and Hyde Park. Yet it’s also the most underutilized, despite decades of grandiose ideas floated by Democratic and Republican administrations alike, such as transforming it into a new rapid transit line. Even the ideas that have materialized — like the $200 million the state invested in new stations, the line’s reduced fares, and local publicity campaigns — failed to attract riders. By last year the line had the system’s worst performance record, with Fairmount train cars frequently redirected for use as substitute coaches on suburban routes. Fortunately, that practice has stopped — it was not only a sign of embarrassing mismanagement, but it smacked of discrimination. The line is now the system’s most reliable, although it still attracts only 2,260 passengers daily. In August, the T’s Fiscal and Management Control Board approved a one-year pilot, starting in 2019, to extend the Fairmount Line to Gillette Stadium in Foxborough, financed in part by Patriots owner Robert Kraft. 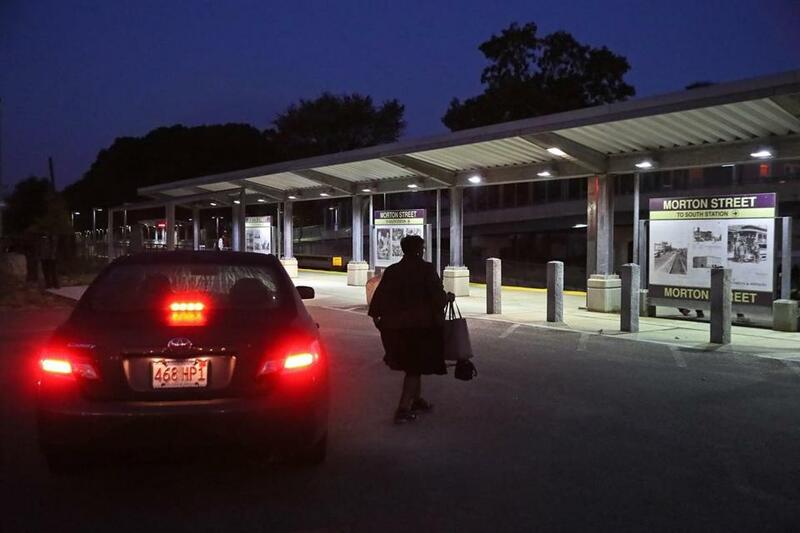 That’s drawn the ire of Fairmount advocates in Boston, who understandably express worries that priorities would shift toward suburbanites, a vestige of transit racism that has dogged systems nationwide. Joined by Mayor Marty Walsh, they also say the line needs more frequent trains, currently running 45 minutes to an hour apart. It’s a big ask to expect the state to run more trains on a line that has so few riders. Extending the service to Foxborough, though, might actually make the case for more frequent service stronger, if it results in higher ridership on the line overall. Two recent initiatives along the MBTA’s Fairmount Line show differing visions for the future of a line that serves a large swath of Boston with no other access to rapid transit. Another way to make sure Boston residents won’t suffer from the extension would be to look to another longstanding railroad practice: Conductors can direct passengers who board in Foxborough to some cars, while leaving others open for riders boarding later — assuring space for those who board in Boston. The Foxborough pilot also doesn’t preclude incentives to encourage Fairmount ridership, beginning with administrative changes that could be done tomorrow. An example: getting rid of “no stopping” signs on Dudley Street in front of the Upham’s Corner station, where it’s technically illegal for motorists to drop off train passengers. This isn’t rocket science. Rather, it’s political science: The chance to bring more riders from more communities onto the Fairmount Line offers a chance to broaden political support for the trains. The T should try it for a year, with serious and sincere ridership data collection and analysis, and the goal of serving all communities.